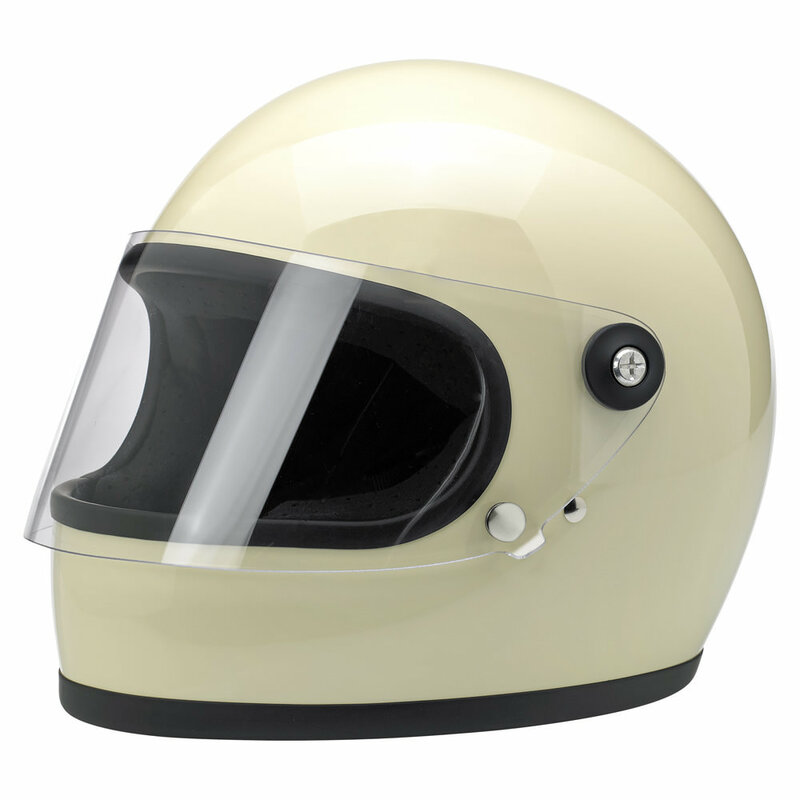 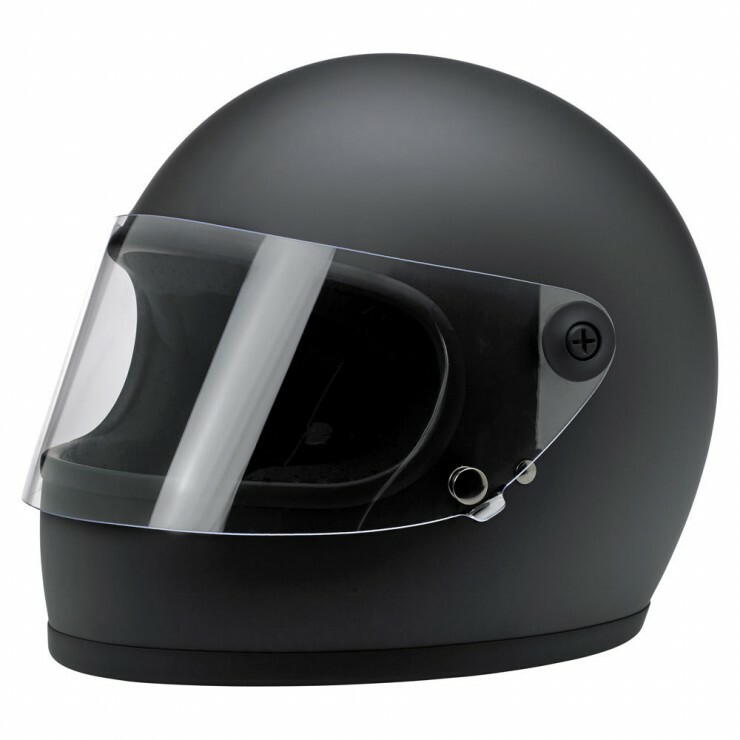 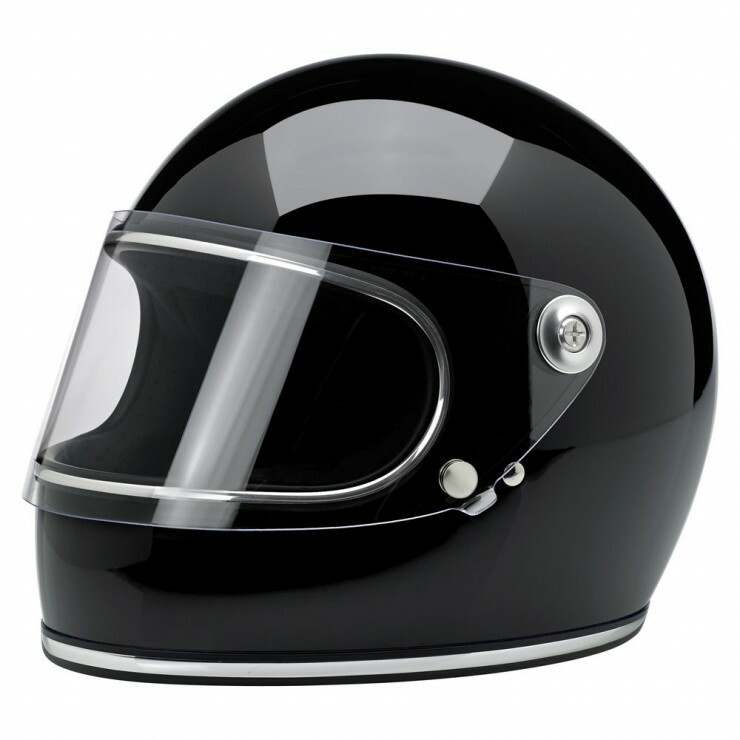 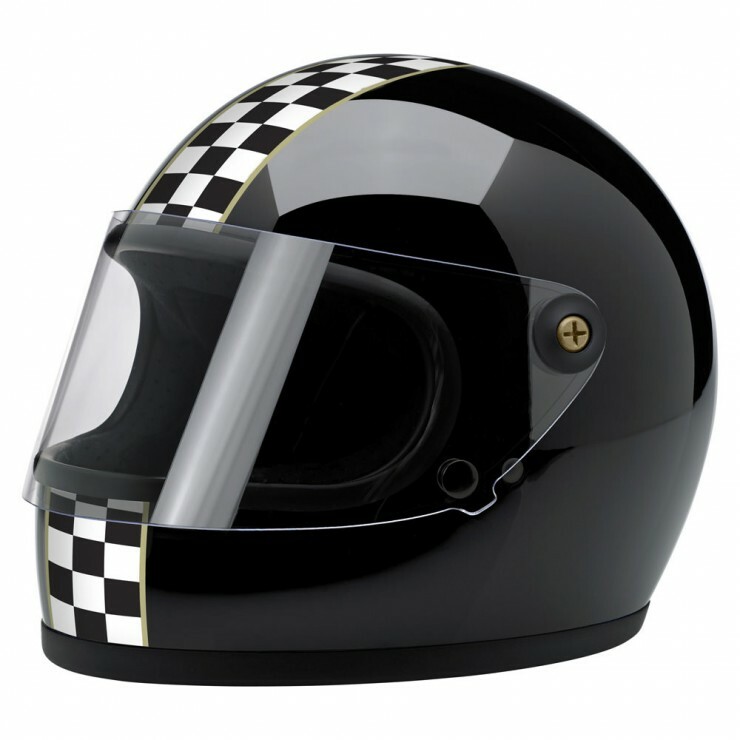 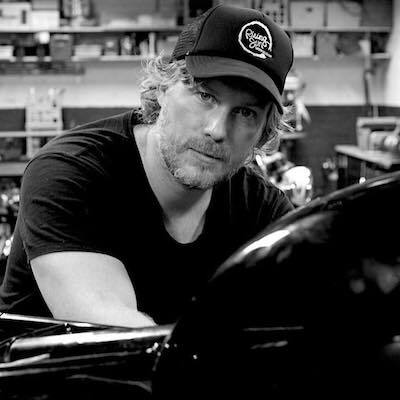 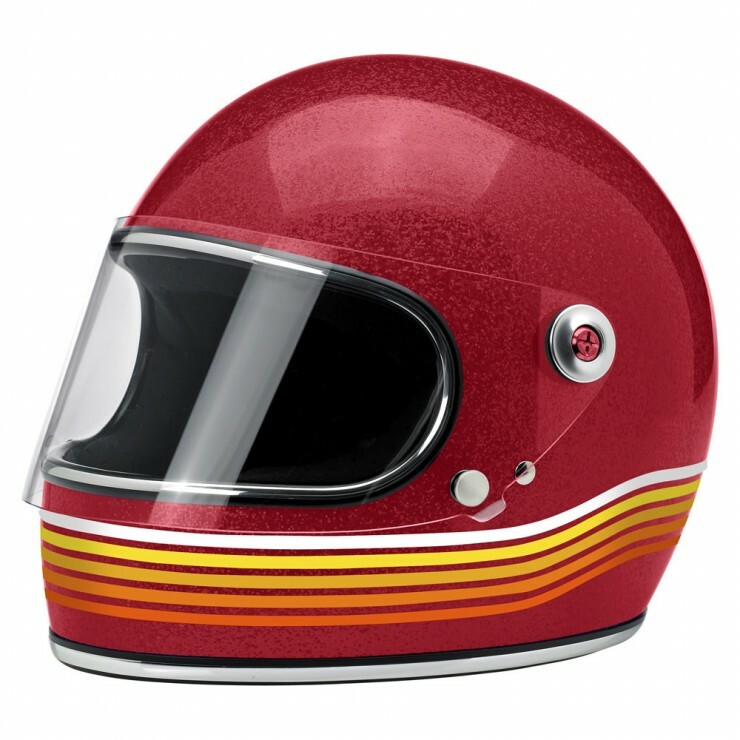 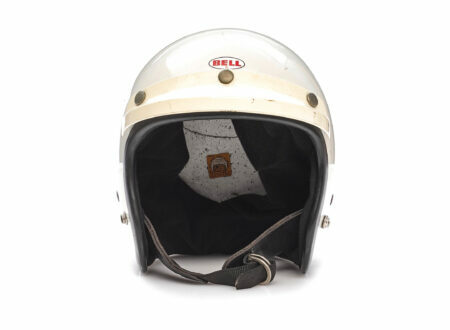 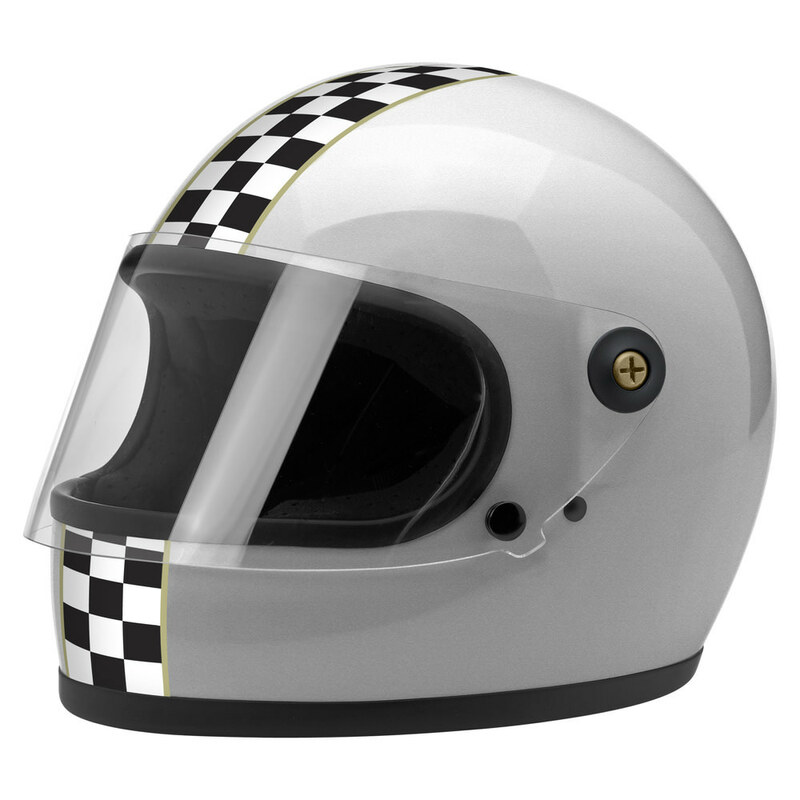 The Biltwell Gringo S Helmet is a new addition to the Gringo line of DOT standard retro full face helmets offered by the American motorcycle parts and gear manufacturer. 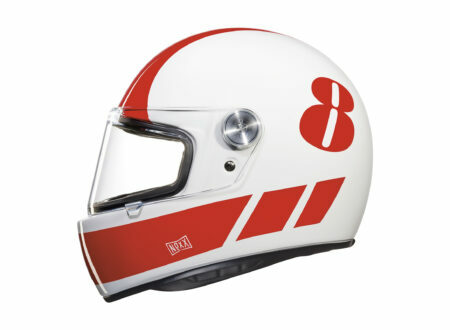 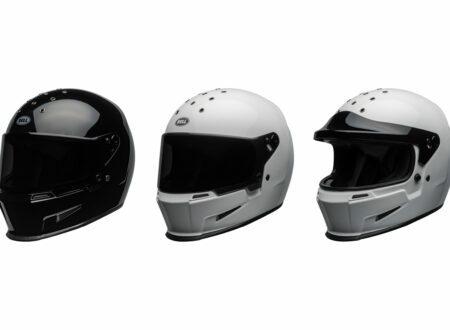 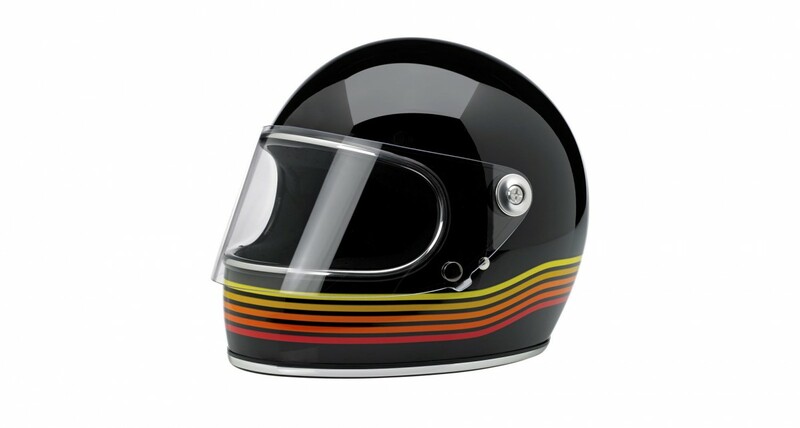 Within the new Gringo S model line is a series of hand-painted helmets (pictured above and below) called the Spectrum Limited Edition, all of the helmets have the same injection-molded ABS outer shell with an expanded polystyrene inner shell, a hand-sewn brushed Lycra liner with diamond-stitched open-cell foam padding, an internal BioFoam chin pad, an injection-molded and laser CNC cut polycarbonate eye-port shield with aluminium hinge covers and black rubber or chrome edging around the base and eye-port. The addition of a flip-up visor to Biltwell’s Gringo is a welcome one and it’ll be popular with those seeking better all-weather and all-temperature protection, the visor is removable which allows owners to wear goggles or sunglasses if they prefer and it comes in sizes from XS all the way up to XXL.